Few things in life are as relaxing and enjoyable as baking. When I'm having a bad day, I make cookies. When I'm stressed out, I bake a cake. When I have a free Sunday with nothing to do but listen to music and drink coffee, I bake a tart or a batch of cupcakes. True, much of the allure of baking comes from the sugary goodness that it yields, but the act itself is both meditative and fun. That said, there are a lot of staple baking ingredients, and anyone who likes to bake is familiar with the feeling of starting a recipe only to realize you don't have baking powder or eggs. Furthermore, with the increasing popularity of dietary restrictions, it's more and more common to find out that the person you're making a baked treat for doesn't eat a key ingredient in the goodie. But no worries! There are literally hundreds of hacks and substitutions that you can use if you need to deviate from the script. Here are six that every baker should know, to help you out whenever you're setting your oven to 375°F and opening a bag of flour. I'm constantly amazed at how my pantry seems to always have baking powder or baking soda, but never both. I'm certain that if I can ever find that magical pile of missing socks, I'll also find endless tins of baking powder and soda. As it is, it's easy to replace one with the other. 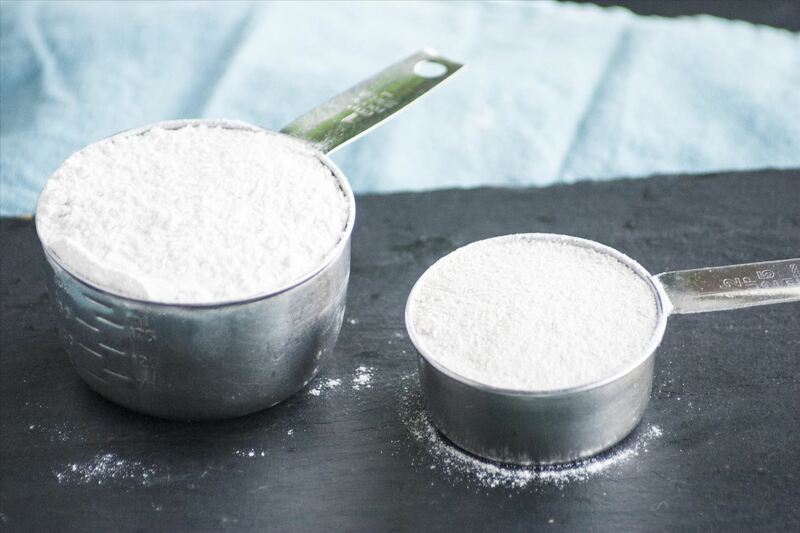 Baking powder actually contains baking soda in it, but it's such a small amount that you need to use a lot of baking powder to create the same effect as baking powder. If you don't have soda, just use powder instead, but multiply the quantity by three. 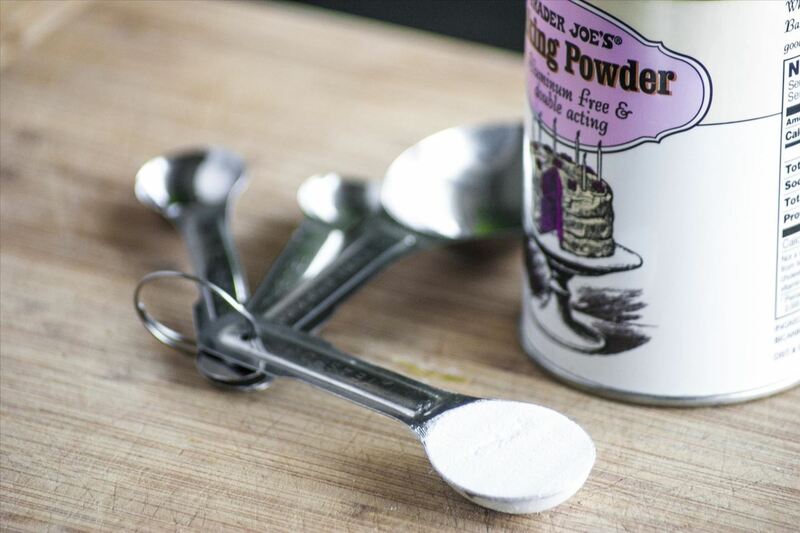 Replacing baking powder is a little harder because of its acid content. To make a proper substitute, combine one part baking soda with two parts cream of tartar. Then replace the called for baking powder with the exact same amount of the soda-and-tartar mixture. TL;DR: Baking soda = 3 times as much baking powder. TL;DR: Baking powder = 1 part baking soda, 2 parts cream of tartar. 2. No Eggs? No Problem! Eggs are one of the most common ingredients in baking, but also one of the most replaceable. There are dozens of different egg substitutes, including pureed tofu, bananas, and applesauce. In my opinion, the best substitute (and the one you're most likely to have around) is vegetable oil. 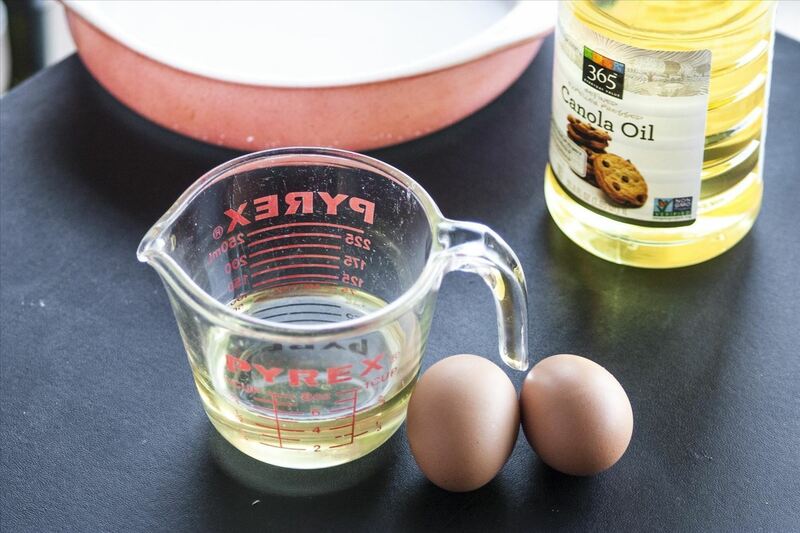 Simply replace ¼ cup of oil per egg, but be careful: after ½ cup, you'll begin to see the texture of your baked good become pretty wet. TL;DR: Eggs = ¼ cup vegetable oil per egg. 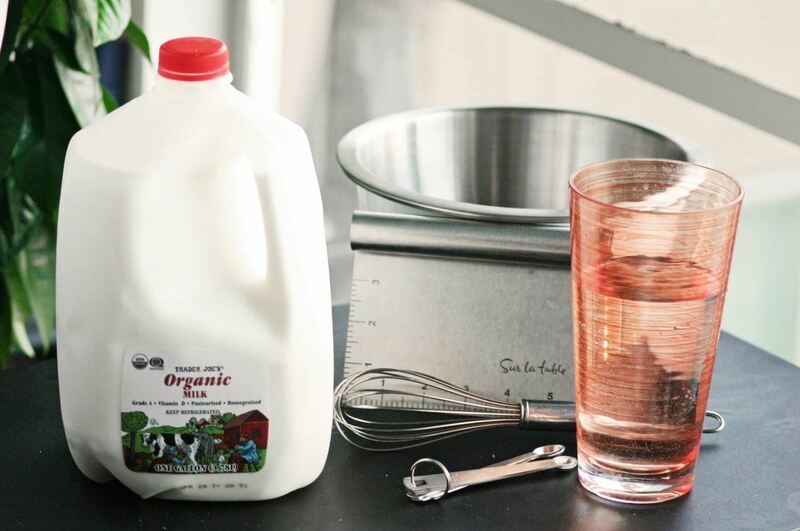 Most people are familiar with using milk substitutes in baking. Unsweetened soy, almond, and rice milk all make great milk replacements if you're trying to avoid dairy. But if you're replacing milk because you ran out, you may not have those more rare substitutes. But guess what? You can just use an equal amount of water! TL;DR: Milk = equal amount water. Buttermilk is one of my favorite ingredients, but it's so infrequently used that I rarely keep it around. Thankfully, making your own buttermilk is as simple as curdling milk with a teaspoon of acid (white vinegar or lemon juice) mixed with a cup of milk. TL;DR: Buttermilk = 1 cup milk with 1 tsp white vinegar or lemon juice. There's a misconception that baked goods with whole grain flours can't be delicious. That's because a lot of people replace the entire flour content with whole wheat flour. For a healthier option that still tastes amazing, substitute 15% of the flour with a whole grain option. If it doesn't impact the flavor, you can keep increasing the percentage of whole grain flour every time you make the recipe. TL;DR: For healthier baked goods without sacrificing taste or texture, sub in ¼ amount of whole-grain flour for white flour and move up from there if desired. 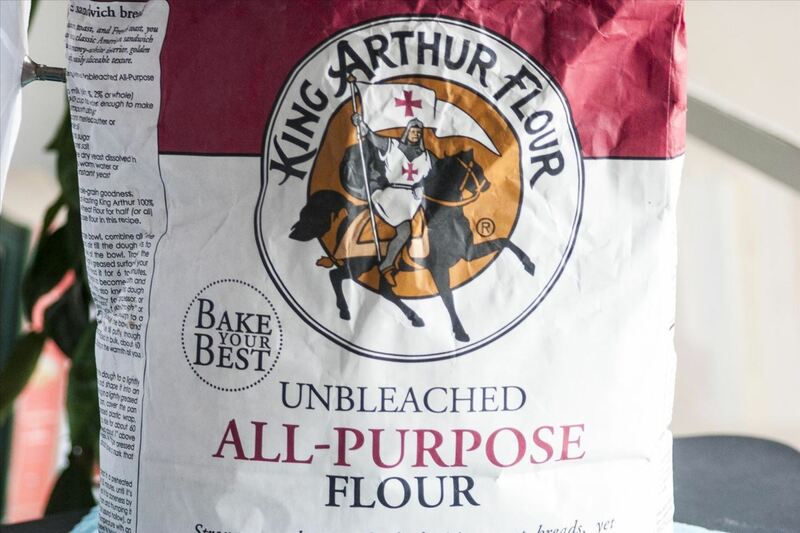 There are a few extremely easy hacks for getting the most out of your flour when baking. You want to start by spooning the flour into your measuring cup, rather than scooping, as this will give you a more accurate amount. Then be sure to run your flour through either a sifter or a strainer to get a fine, lump-free product. What are your must-know baking substitutions and hacks? These 16 baking hacks will help you fix burned muffins and fix out broken eggshells the easy way. There's one incredibly easy thing you should be doing for perfect chocolate chip cookies—do you know what it is? And if you've got a thing for boxed cake mix, own up to it, especially once you learn these 7 tricks to make it taste homemade.